Mobile commerce (m-commerce) has seen a meteoric rise in popularity recently, with an increasing number of consumers reaching for their smartphones when looking to shop online. Since m-commerce is predicted to overtake e-commerce in the coming years, e-retailers must take note of some of the shifts they are likely to encounter through 2019 and beyond. Site-search has been an indispensable part of e-commerce websites for a long time now, but it plays an even more vital role in m-commerce. Navigating through thousands of products on mobile isn't as easy as it is on desktop – there's only so much you can fit on a 5 inch screen – which is why users tend to reach for the search bar when shopping on mobile sites. It's crucial, then, that your site-search experience is smart enough to deliver perfectly matched results, fast. Investing in your mobile site-search experience doesn't just make browsing easier for your customers, it also improves your bottom line. Econsultancy reports that those who use site-search are almost twice as likely to follow through with their purchases. Meanwhile, Wolfgang Digital’s 2019 KPI report found that 53% of traffic to online stores comes via mobile devices, but accounts for just 32% of revenue, highlighting the opportunity for improvement available. Offering the capability to improve revenue and user-experience, adopting intelligent site-search for your m-commerce channel has fast become a necessary addition. The most common use of smartphones is, unsurprisingly, communication. Facebook messenger and Instagram Chat to WhatsApp and Telegram, people rely on apps to stay in touch with their friends, families, and workmates every day. It's no wonder, then, that businesses have realised the potential of communicating with their customers via these services. Brands like H&M, Nike, and eBay, have developed AI-based chatbots that can talk to customers in the same natural way as their friends do. This is an excellent way of building brand loyalty, but it's also super useful for their customers. They can keep track of their orders, ask for recommendations, and contact customer services, all from one place. If your committed to making the most of m-commerce, consider the ways your e-store could make use of these messaging apps. With over a billion users, your company should be reachable via Facebook Messenger at the very least. Augmented reality (AR) is a technology that uses smartphone cameras to transpose digital content into the real world. While this sounds like something ripped straight from a science fiction novel, the technology works and is being harnessed by brands in ways that seemed impossible just a few years ago. 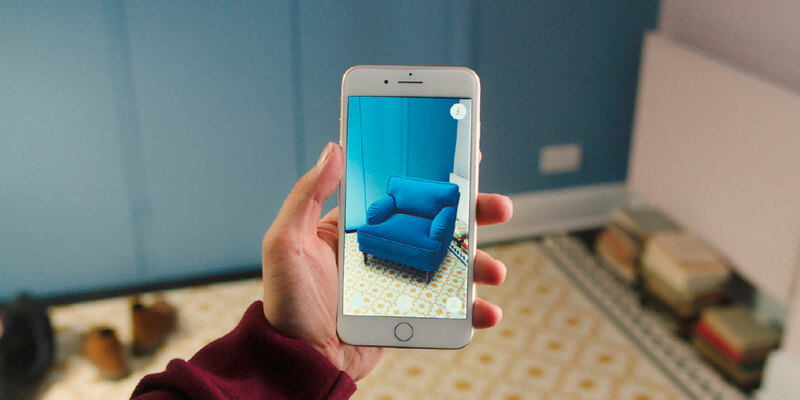 Swedish furniture company, IKEA, allows its customers to visualise how furniture will look in their homes, sizing products to scale before providing the choice to buy through their innovative 'Place' app. Similarly, glasses e-retailer, Eyerim, lets its customers try on their new favourite specs from the comfort of their own home with its 'virtual mirror' feature. Try it out here. The benefits of AR for e-retailers are numerous. First and foremost, it gives your customers a chance to spend some time with your products just as they would in a brick-and-mortar store. This means they'll feel more comfortable parting with their cash as they can be confident that the product you're offering is exactly what they're looking for. Although AR is definitely still a way off being ubiquitous, e-retailers that start thinking about how they might use the technology down the road now will reap the rewards of doing so in the future. The number of consumers using payment apps like Apple Pay, Google Pay, and PayPal has risen considerably recently as people have grown comfortable with the idea of making mobile payments. A growing m-commerce trend is e-retailers allowing customers to check-out using one of these handy payment apps. We all know how annoying it is when you want to buy something, but have to go looking for your wallet to re-enter your card numbers for the umpteenth time. This aggravation could mean the difference between making a sale and losing a customer. 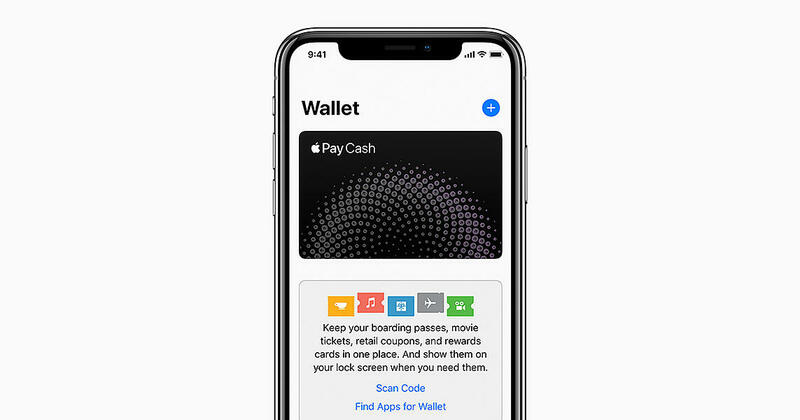 To future proof your m-commerce site and make your customers' journeys easier, consider implementing Apple Pay and Google Pay into your checkout process. The figures speak for themselves. Global m-commerce revenue totalled $96B in 2015, but this is expected to reach $693B in 2019 – an increase of 621%. Businesses can no longer afford to ignore the quality of their m-commerce offering. It's clear to see that the future of e-commerce is on mobile. When e-retail sites are designed with mobile in mind, m-commerce makes shopping fast and easy for customers while proving hugely lucrative for your business. The question is, has your website been designed to work just as well on mobile? Find out with our handy design guide today.